Scottish shortbread and black tea are good friends. Ever since they first met, they’ve just clicked. They try to hang out as much as possible, but sometimes it’s hard to find a free afternoon. So next time shortbread wants to get together with tea, offer up your kitchen as a meeting place. Then, while they’re chatting away, quietly sneak up behind them…and chow down. Trust me, they’ll never see it coming. And this shortbread recipe (from one by Lorraine Pascale) will definitely help you forget how much butter you just ate. Cream together butter and sugar. In a separate bowl, combine flours and salt. 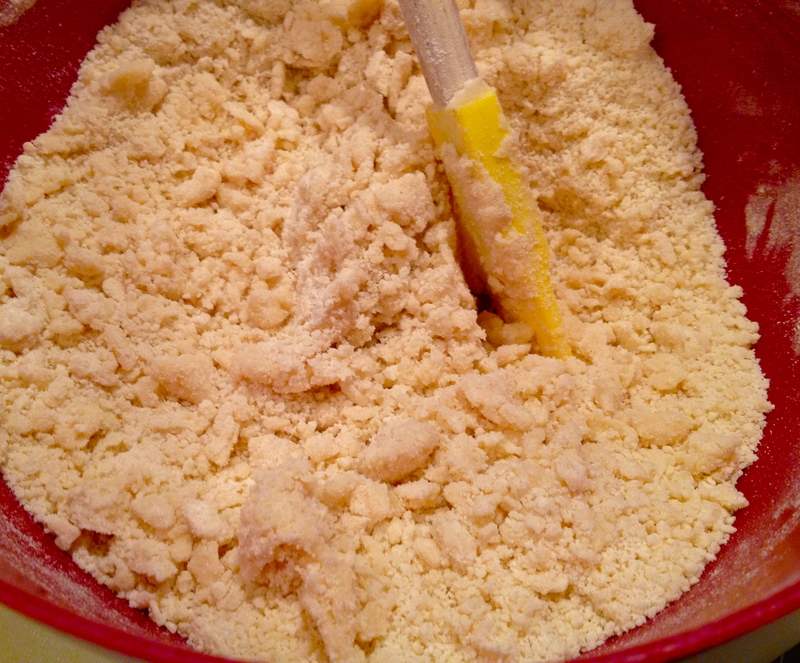 Add flour mixture to butter and sugar in 3 parts, stirring between each addition. The texture of the dough should be very crumbly but hold together when pressed. Now, press the dough evenly into a pan. 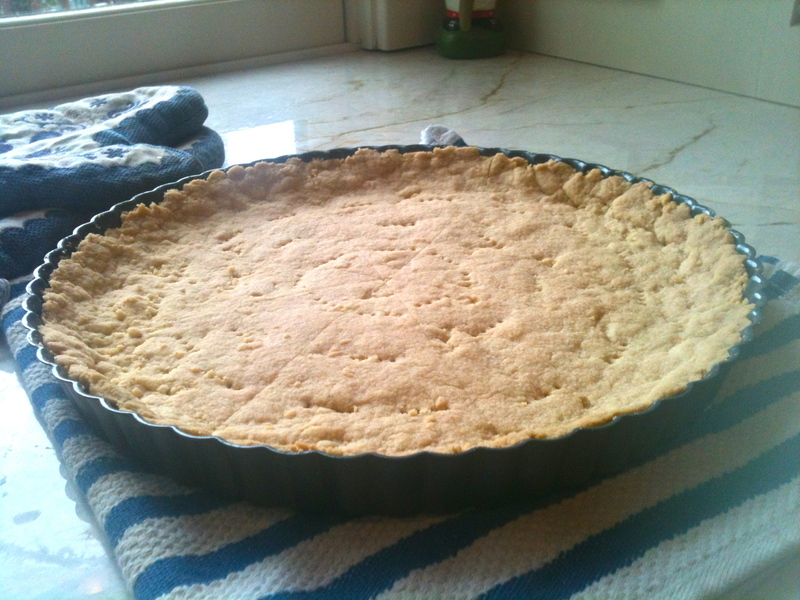 I recommend a spring-form pan or a tart tin with a loose bottom, so that you’ll be able to remove the crumbly shortbread without breaking it. 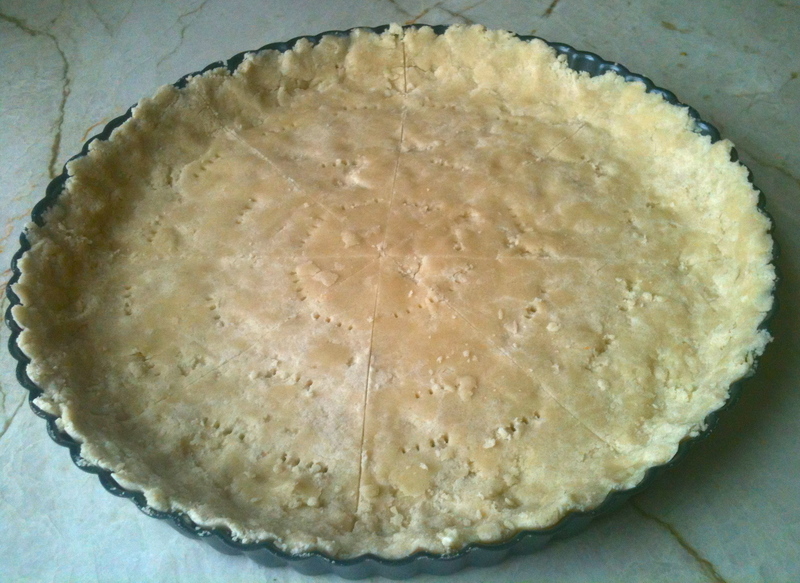 If you’re not using a tart tin, crimp the sides with your fingers so that you have a pretty little border. Then, use a knife to draw 8 pizza-shape segments, and pierce each segment a few times with a fork. Place dough in the fridge for 30 minutes. Just before the 30 minutes is up, preheat oven to 325 F. Remove shortbread from oven and bake for about 30 minutes, until just starting to turn golden. Cool completely, slice carefully (it’s very crumbly), and serve with tea–but give the friends a minute to say hello before you start to nibble elegantly. 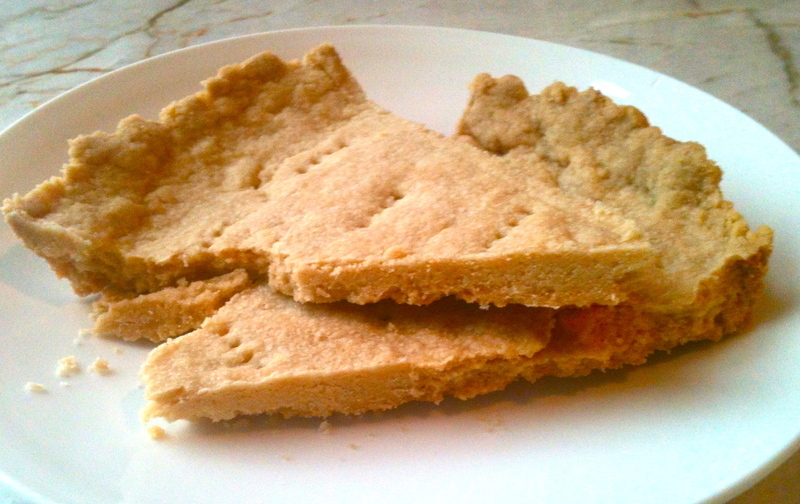 I have to try this ¡¡ I love scotish short bread’s butter flavour & grainy texture. How much weighs a stick of butter (the one you use)? 1 1/4 sticks = 5 oz. I think it’s about 140 g. Muy rico!